we are associated with some of the renowned manufacturers of the industry and are engaged in offering a wide range of Pressure Boosting Pumps. in order to suit the requirements of the customers, these are being offered by us in varied specifications as well. In order to maintain a consistent set pressure smoothly in the delivery pipeline, these are designed with utmost precision and care. The moment, the pressure drops, these switches (smart press) would immediately start the pump. The pump will also be stopped when the set pressure is received. 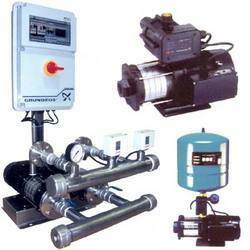 We are engaged in wholesaling, trading and supplying Automatic Pressure Boosting Pump. In order to suit the requirements of the customers, we offer these systems in varied specifications at reasonable rates. In order to maintain a consistent set pressure smoothly, our vendors use high quality components and spare parts in the manufacturing process. 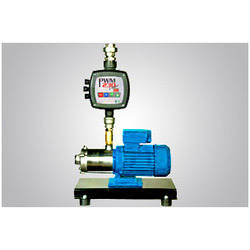 We are a paramount organization that is engaged in offering Pressure Boosting Pump. Procured from trusted vendors of the market, these fans are in compliance with industry norms and standards. 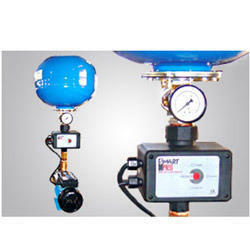 In these systems, the starting and stopping of the pumps is done through the VFD. Also, these systems further contain an inbuilt flow along with the pressure sensor as well as the dry run protection. Ours is an illustrious organization that is engaged in wholesaling, trading and supplying high quality Water Pressure Boosting Pump. These systems are procured from trusted market vendors who use high quality material in the manufacturing process. 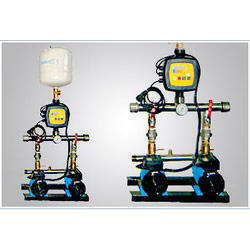 This system has basically two pumps in order to serve the emerging requirement of water. Also, a smart press has been replaced with the help of a device called double smart that helps in controlling the operations of these pumps. Looking for Pressure Boosting Pumps ?